I started testing the Pro 2 on our flight back from CES to New York. During the flight I switched back and forth between the BackBeat Pro and the BackBeat Pro 2; running each unit in turn on a tablet and a smartphone. The performance of both units was very similar. The BackBeat Pro and the BackBeat Pro 2 both allow pairing of the headset to two devices at the same time to allow you to watch a movie on your tablet and instantly switch to your phone to answer a call. 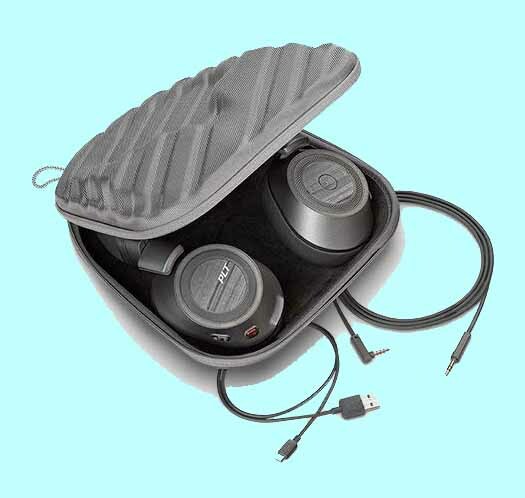 The most significant difference in my opinion was the BackBeat Pro 2 is much lighter and therefore more comfortable. See photo 1. The special edition also came with a hard case, photo 2, which is definitely more protective than a ballistic nylon storage bag. 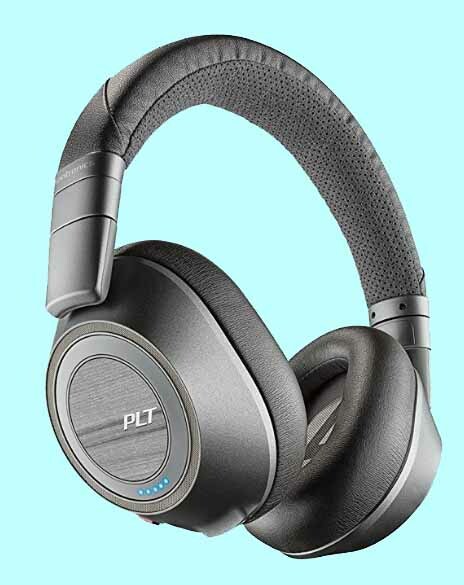 The Plantronics BackBeat Pro 2 Special Edition Wireless Noise Cancellation Headphones controls are very intuitive. See illustration 1. The most significant features are an internal rechargeable battery that can give you 24 hours of straight use time on a single charge. 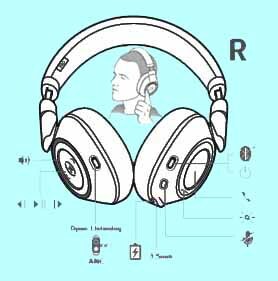 An automatic pause and resume sensor which is activated when you take the headphones off your head. When you place them back on your heard your music or video will automatically resume. Sound reproduction is excellent and the volume control on the headset in noise cancellation mode seemed to add a volume boost to what ever you are listening to. Another interesting feature was the pairing of two devices at the same time to allow you to watch a movie on your tablet and instantly switch to your phone to answer a call. To make the switch you press the phone button on the right ear cup of the BackBeat Pro 2. See the labeled illustration to see the placement of all controls that let you personalize your listening experience. The BackBeat Pro 2 comes with 3.5mm cable for you to use when Bluetooth isn’t available and they also supply a micro USB charging cable for you to use to recharge the headset. You do have to supply your own charging block to plug the unit into a standard electrical outlet. Of course the most significant feature is its active noise cancellation that can turn the loud roar of airplane engines into a quiet whisper. If you want to hear your environment the manual indicates that you should turn off the ANC switch. However in my opinion the best way to hear what is going on around you or listen to surrounding conversations is to just take off the headset which will automatically pause your music or video. The best way to prevent hearing loss is to reduce the volume of hazardous noise from a roar to a quiet whisper. You can accomplish this task by using active or passive ear protection. Passive noise cancellation can be rubber or foam that you squish in your ear or a set of headphones that are loaded with sound absorbing foam. Before active noise cancellation technology was invented, this type of noise cancellation was the only way to protect your hearing at a gun range or if you worked in an environment that included extremely loud machinery. BackBeat Pro 2’s active noise cancellation technology reduces background noises by creating an opposing sound wave that cancels out the background noise. To accomplish this task the noise cancellation electronic circuitry of the BackBeat Pro 2 creates a sound wave that is 180° out of phase of the offending sounds. This second sound wave acts as an acoustical eraser eliminating most of the loud noise that you would hear if you were not wearing an active noise cancellation device. If you don’t have to pump up the volume of your music or video games to drown out environmental noise you just might avoid hearing loss later in life. The automatic pause feature is amazing. The sound quality and the unit’s ability to really pump up the volume was also a welcomed plus. The controls for everything from switching tracks to answering phone calls were easily accessible and the noise cancellation was extremely effective. Look at the labeled illustration again to check out the location of all the BackBeat Pro 2 controls. The special edition unit also comes with a hard case which does provide much greater protection then a ballistic nylon storage bag. The volume control wheel is recessed so to change the volume you press in with your finger and then rotate it. Until I got used to it I found it rather cumbersome to operate. The illustration has a small image of a person changing the volume using the recessed wheel. The label on the active noise cancellation/open listening switch is designed to be peeled off. Not clear why they designed the labeling to be removed. Photo 1 The BackBeat Pro 2 is lighter with a more streamlined design. Photo 2 The BackBeat Pro 2 Special Edition comes with a hard protective case. Illustration 1 The BackBeat Pro 2 has very intuitive controls.